The Art Therapy program at Lenox Hill Neighborhood House works to improve the mental health and wellness of our community through group and individual therapeutic work. Art Therapy is a therapeutic modality that uses the creative art process as a way for individuals to learn more about themselves and their emotions and to connect with their community. Art Therapy can be used with individuals of all age groups and participants do not need any training or background in art to benefit. At Lenox Hill Neighborhood House, we work with a wide range of adults, from those who are seeking more general wellness in their day-to-day lives to those who are working through challenges related to dementia, trauma, addiction or mental illness. The sessions focus on the participants’ goals and build self-esteem, foster healthy outlets, increase socialization and improve overall mindfulness. 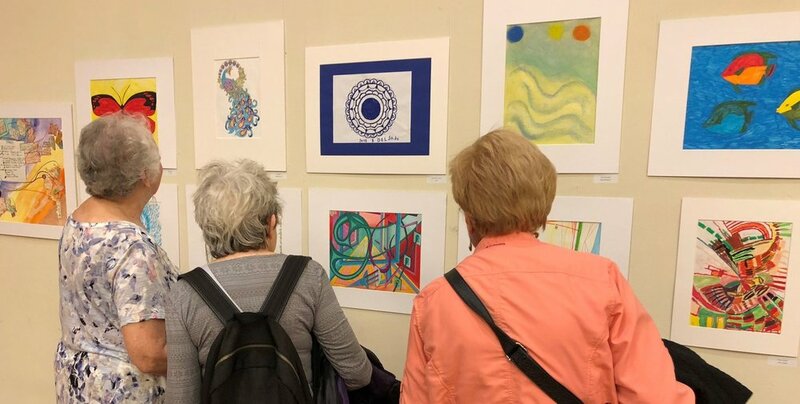 Our Art Therapy program currently works with a variety of our programs including CARE, the Senior Center at Saint Peter’s Church, the Center @ Lenox Hill Neighborhood House, the Women’s Mental Health Shelter at the Park Avenue Armory, Casa Mutua, Geriatric Care Management and the Mindful Living Collaborative. All sessions are facilitated by either a Licensed Art Therapist or our Master’s Level Art Therapy Interns who are supervised by a Licensed Art Therapist. Click here to learn more about our Sparking Wellness Art Therapy program for individuals with memory impairments.